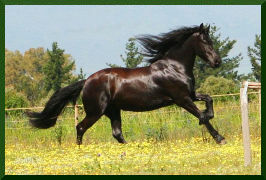 Please contact us if you should wish to visit our stables or if you are interested to know more about Friesian horses. 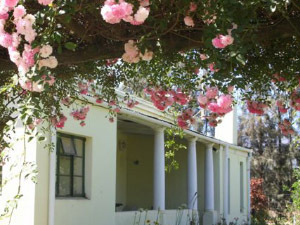 Our farm is fairly easy to find - if you are coming from Cape Town using the N1 (direction Paarl), take exit 47 (direction Wellington) which takes you to the R44. Follow this road for about 16km and you will find the Windmeul Cellars on your left-hand side. Turn left to Boland Agriculture High School/Voorpaardeberg. 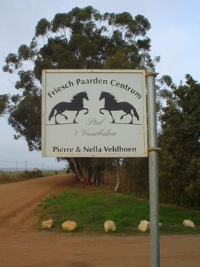 Once past the school, travel approximately 6km until you reach the Klipheuwel sign (on your left) - take this turning and you will find yourself on a gravel road. Approximately 100m further, to the right, you will find our farm.